life-cycle at a minimum cost to the customer. 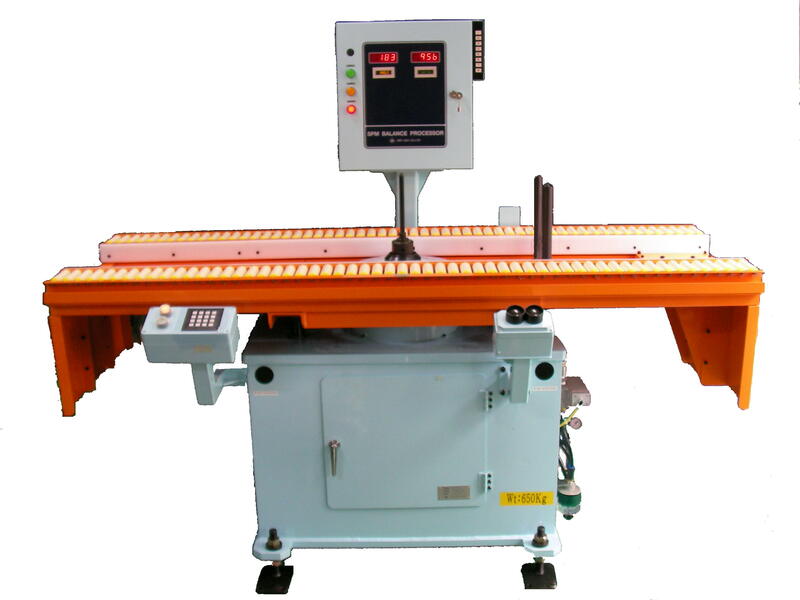 We have been and will provide various customizations per requirements based upon the successful balance technology. Our static balancer uses the original Stiff-Pivot mechanism. The special pin called “Stiff Pivot” generates a minute tilt by an imbalance. The tilt information is then translated in the electric signal to let the operator know the location and amount of the imbalance. This unique system has superior accuracy and repeatability beyond the rotational balancers that amplify the imbalance using centrifugal force. Over 50 years, the system has been highly evaluated in various industrial fields such as automotive components, tires and machinery parts. This method can flexibly satisfy the applications for helicopter blades, heavy work- piece and any components where the preference is to avoid any rotational force loads. 3/16" 1/4" 5/16" 3/8" 1/2"